VIVO, one of the more recent Chinese companies to sell smartphones in India is expanding its V series of Android smartphones. On April 5th VIVO launched 2 smartphones namely V3 and V3 Max, and now VIVO has revised the price of the cheaper V3 to INR 14,980. It was priced at INR 17,980 at the time of launch. VIVO V3 is well received by the customers in India during its initial days; it comes with a great looking metal unibody design. It boasts of Qualcomm Snapdragon 616 processor with 3GB of RAM. Further it has a 5 inch display with HD resolution (720p). It comes with a very fast fingerprint sensor placed on the back, which is claimed to unlock the phone in just 0.2 seconds. On the storage front, it has 32GB of in built storage which can be expanded up to 128GB via microsd. For photography it offers a 13MP rear camera and an 8MP front camera that does a really good job. Vivo V3 is backed by a decent 2,550mAh battery. It looks sleek and slim with just 7.5mm thickness and lightweight at just 138grams of bulk. One thing that makes this deal a little sour is its Android 5.1 Lollipop OS which feels a little outdated. It offers a lot of connectivity features Bluetooth 4.1, WiFi, GPS with A-GPS and GLONASS, FM Radio and USB On-The-Go. 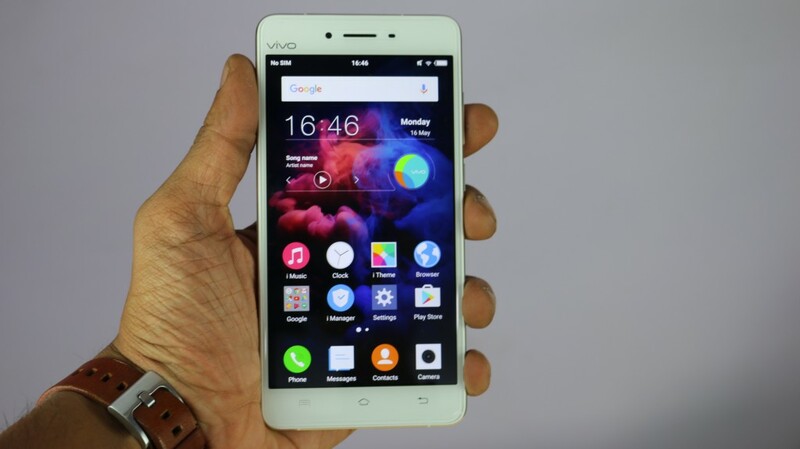 VIVO is one of the fastest growing smartphone brands in India and has major plans in coming time. We can expect it to continue the V series next year. VIVO also stands among the top 5 smartphone vendors around the globe. They have started their own manufacturing facility in India recently under the make in India initiative.